Here I Am, Your Speaker Problems Are Solved! 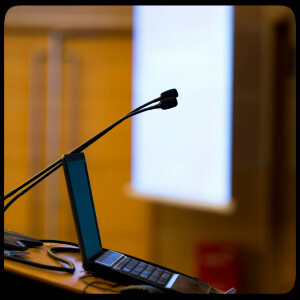 Why does your event need a fantastic speaker with great content? Well, because that is what your attendees will be expecting. People chose to come to events because of the primary topic of the event and the speakers that are presenting. If you are looking for a crowd pleaser, look no further! I have done countless classes and speaking lectures all across New York State (Why this is where I live and where I like to play). From classes of three people to rooms filled with hundreds, I have captivated, motivated and educated audiences. Most of my seminars are pre-canned, but I customize everyone to the audience I am speaking to. I have received rave reviews and been asked to return to events year after year. Here is a link to my full Class Listing. I cover a broad range of small business and non-profit topics that narrow in on marketing techniques. When you look for a speaker, make sure he or she is a match for your audience. I am outgoing, vivacious and interactive in my speaking presentations. If you are looking for a speaker that will get your audience involved and thinking, you have found the right woman! These topics are especially relevant to small businesses and non-profits alike. Because you or you organization are are not social media or marketing experts, you need help navigating the online marketing waters. That is exactly what I am here for. To support you and/or your organization get the information you need to be competitive in an ever-changing multi-media market. I Also Offer Boot Camps! Do you need someone to come in and teach a hands-on how to? Book a Boot Camp Training! I will spend a morning or afternoon with you fully engrossed in a hands-on how to session. When you are done, you will leave the class with tangible tools and knowledge on how to grow your business. Contact me to schedule your class or event.